With passage of Senate Bill 7x-7 in 2009, California formally adopted a goal to reduce statewide urban per capita water use by 20 percent by the year 2020. This was not an ambitious goal; nonetheless, it was an important step forward. For the first time, the state sent a signal to water suppliers and the public that water conservation and efficiency are state priorities. Furthermore, without these efforts, the impacts of the 2012-2016 drought in California would have been far more severe for communities across the state. Recognizing the need to prepare for a future of more frequent, severe, and longer-lasting droughts, Former California Governor Jerry Brown issued Executive Order B-37-16 in May 2016. The executive order directed state agencies to take actions to use water more wisely, eliminate water waste, strengthen local drought resilience, and improve agricultural water use efficiency and drought planning. This executive order ultimately led to Assembly Bill 1668 (Friedman) and Senate Bill 606 (Hertzberg). 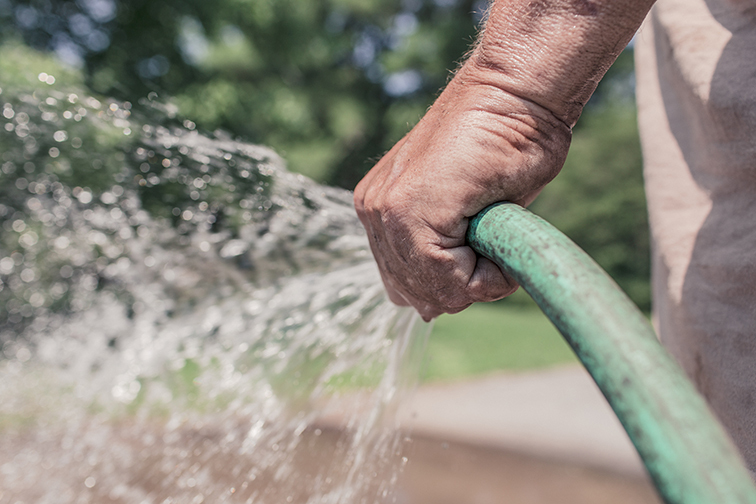 These bills, which were signed by Governor Brown on May 31st, 2018, create a new, more equitable framework for setting customized long-term water use targets for urban water suppliers and improve water management and drought planning. The Pacific Institute, along with a coalition of partners, actively engaged in the legislative process, providing concrete recommendations to make these bills more meaningful and impactful. The Institute looks forward to continuing to engage with its partners, the state, and others to successfully implement these bills and create a more sustainable, resilient, and affordable water future for California. Read more about our California water policy work here.